It was in Carioca lands, specifically in Copacabana beach that the Fairmont Hotels & Resorts chose to open the doors of its first hotel in South America. 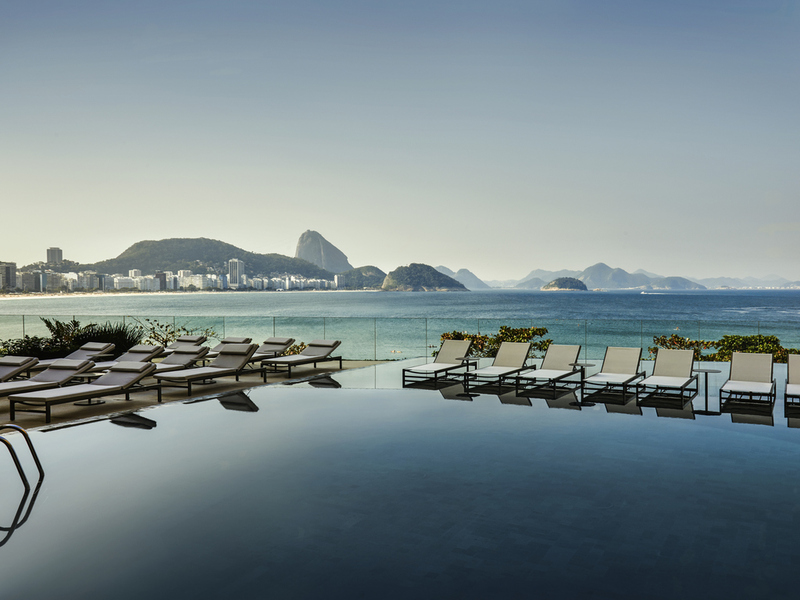 Located in one of the most privileged areas of the waterfront, the hotel takes the signature of the renowned architect Patricia Anastassiadis, who sought inspiration in the glamor of Rio de Janeiro in the 1950's. The best gastronomic options and the elegant Willow Stream SPA complete what will be the best lodging option in Cidade Maravilhosa. Restaurant overlooking the Sugar Loaf and Copacabana beach. Every hour of the day, surprise yourself with the grilled seafood on our Josper Grill. The restaurant is perfect for business travelers and families. With incredible views of the sea, the Marine Restô offers exceptional surroundings. A place to celebrate and drink the best local and global spirits with small and polished portions of crudos, tiraditos, pinchos and tapas. Here you will find a unique mixology experience. The classic drinks are revisited and tailored to your taste.